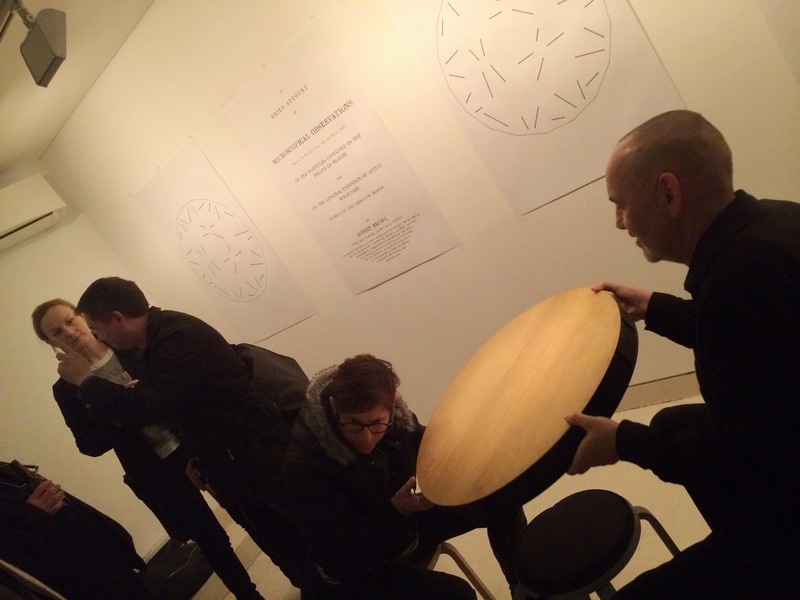 Sonic performances by Gary Warner and Vsevolod Vlaskine. 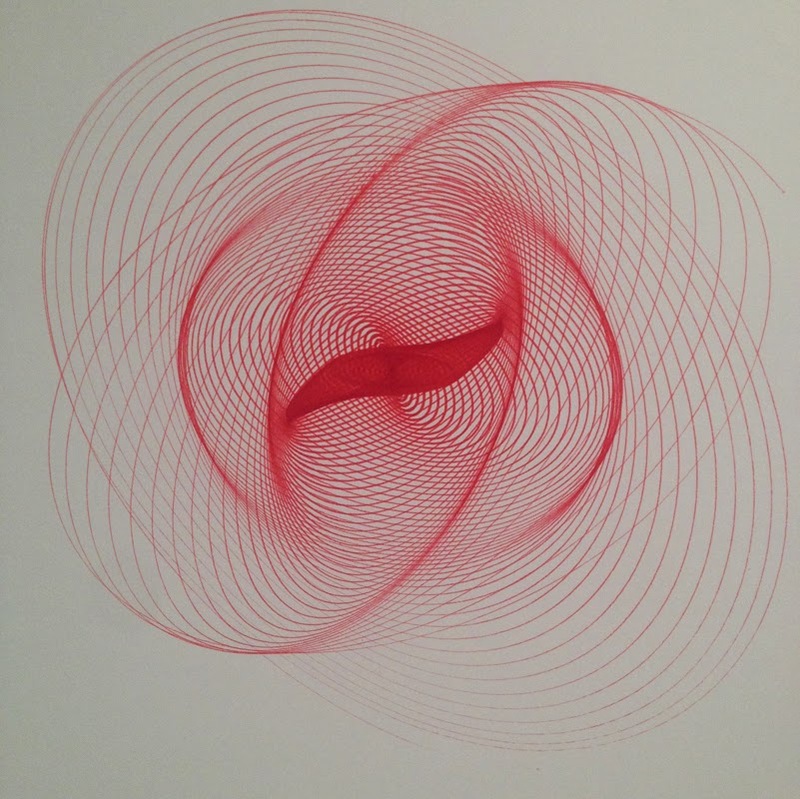 Please join us in the gallery for an afternoon of soundscape generation exploring live amplified improvisational mixing of the 21-pendulum entropophone (image below), a 3-pendulum harmonograph, a cryptic lamellaphone, electronic constructions, found objects and selections from Gary Warner’s field recordings library including recent recordings made in Kyoto. The afternoon will comprise three half-hour performance sessions commencing at 14:30, 15:30 and 16:30, with interludes for refreshments and conversation. 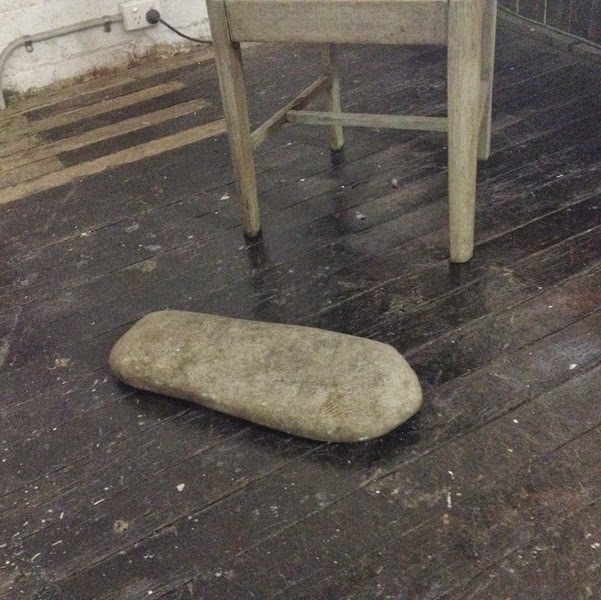 Bring a cushion for comfort perhaps. Open to all with an interest in listening. 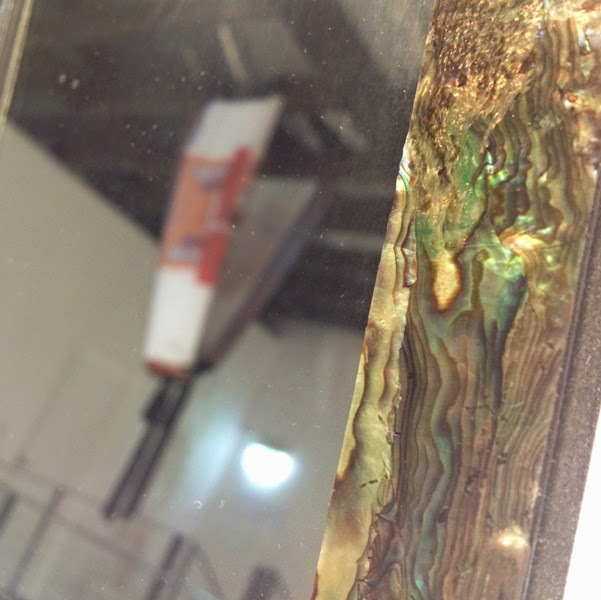 If you can't make it on Saturday: the exhibitions by Gary Warner and Vsevolod Vlaskine are both open 11am - 5pm Friday - Sunday till Sunday March 1st. field recordings by Gary Warner. creating an autonomous ‘live’ mix. John Cage's music score for his 1948 work 'Dream'. Gary will also be present for most of the time the show is open, to explain how the machines work. 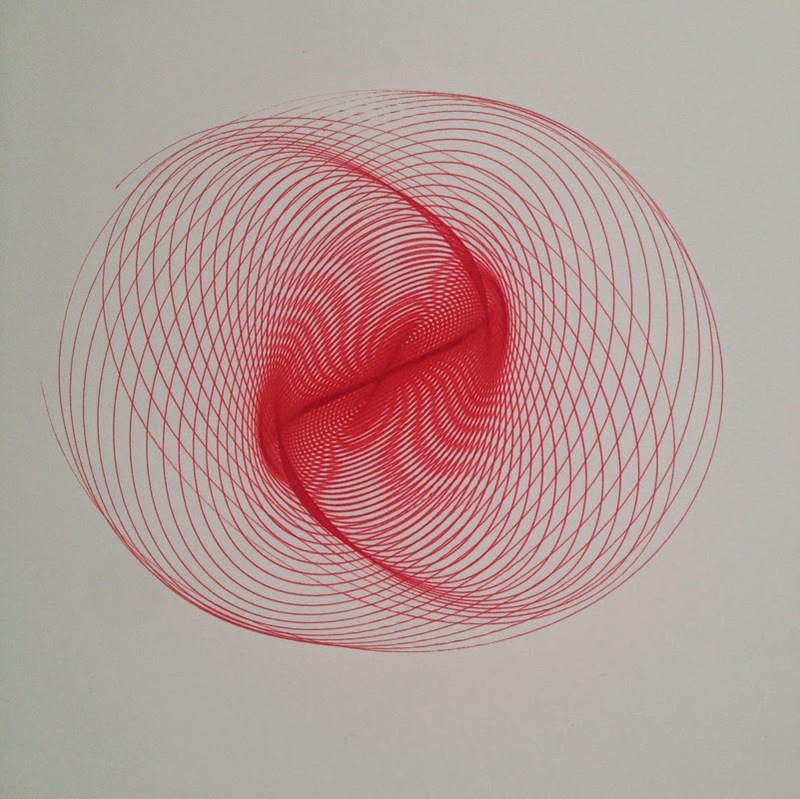 Gary Warner continues his exploration of drawing machines, colour abstraction and the poetic-acoustic potentials of found objects to present a new sonic sculpture/instrument, a unique three-pendulum harmonograph and a continuation in his ‘colournotes’ series. 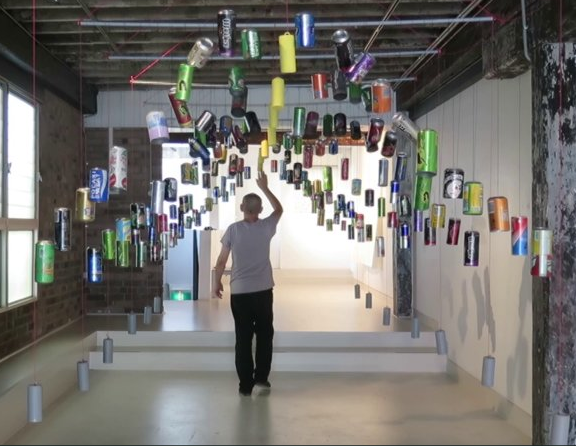 This sculpture/instrument redeploys discarded aluminium drink cans, collected from the street and worked by the artist, to create a suspended kinetic-acoustic array occupying the central gallery space. Activated by visitors, the instrument produces atonal clattering cascades, rhythmic pulses and ephemeral melodic sequences that gradually decay to the silence of equilibrium. Heard from nearby, the sounds are reminiscent of distant moored boats, wandering farm animals, a forest gamelan or temple bells, but if the listener brings their ears close to the hanging cylinders the sound is suddenly experienced as surprisingly rich, resonant and complex. 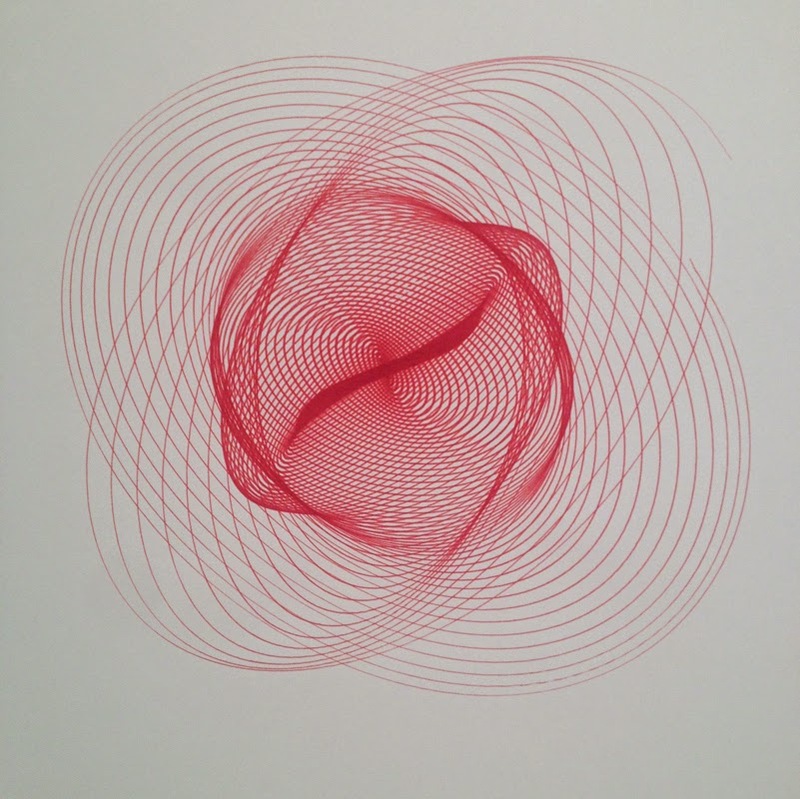 Originating in the mid-19th century, harmonographs are a type of drawing machine that translate the slowly expended energy of free-swinging pendulums into complex geometric drawings. 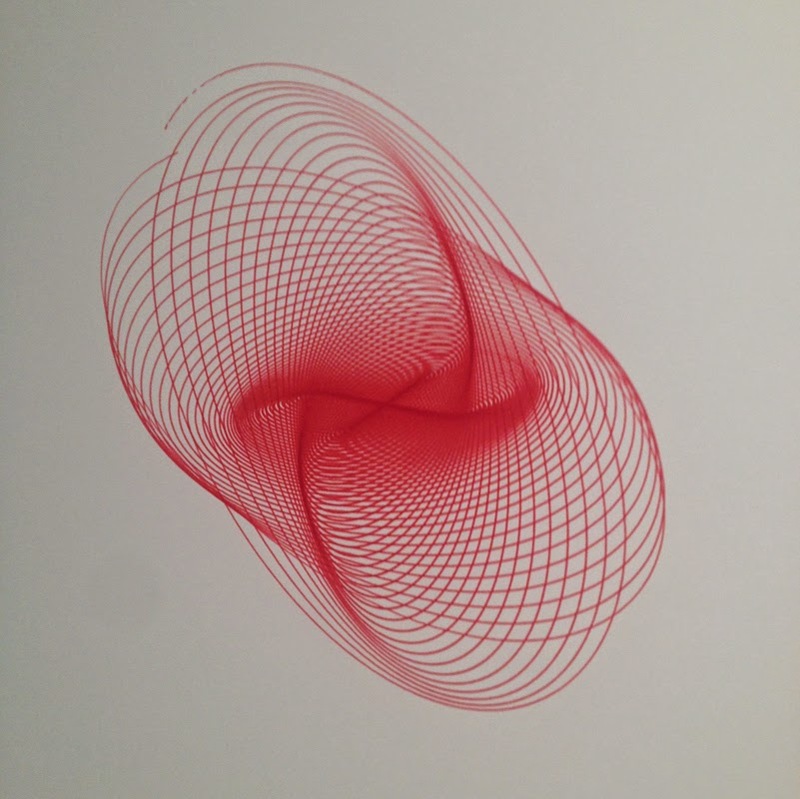 A unique 3-pendulum harmonograph designed by the artist will be operated continuously during exhibition hours to produce unrepeatable drawings. Each drawing will be notated, displayed and available for purchase (20% of each sale going to the Aboriginal Benefits Foundation). 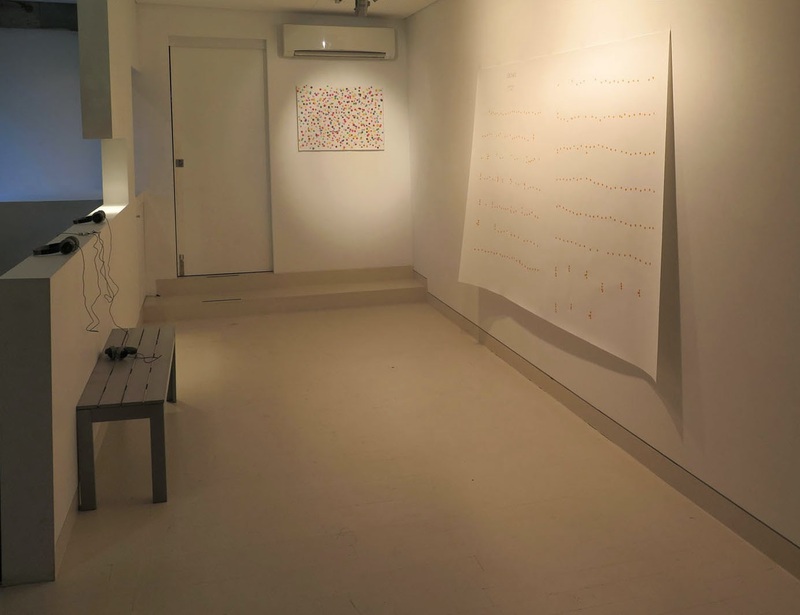 ‘colournotes : splashdot score, february 2015’ is a site-specific installation of tiny ‘paintings’, each a trace of energy transfer, the suggestive record of a split-second chaotic event - the splash of a drop of ink on a square of paper. 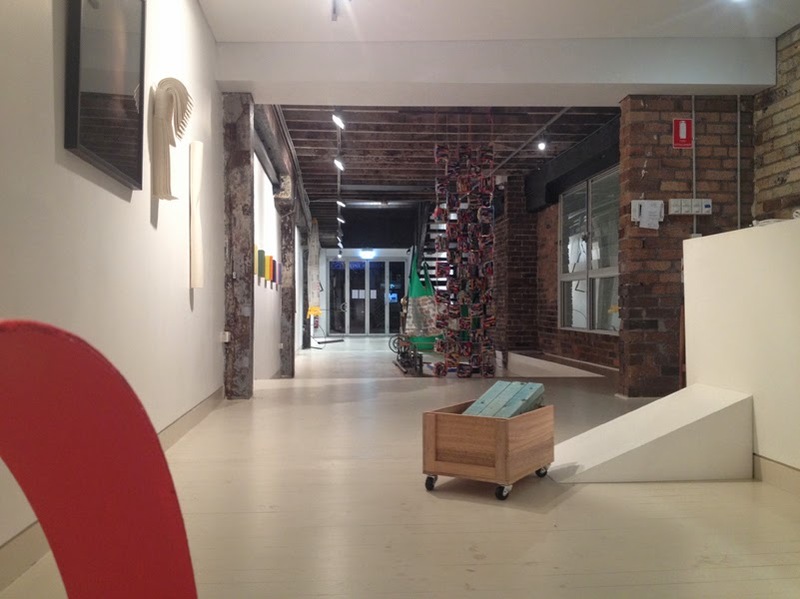 The opening of FERAL 5 last week marked the closure and final ripening of the FERAL project at Articulate project space. 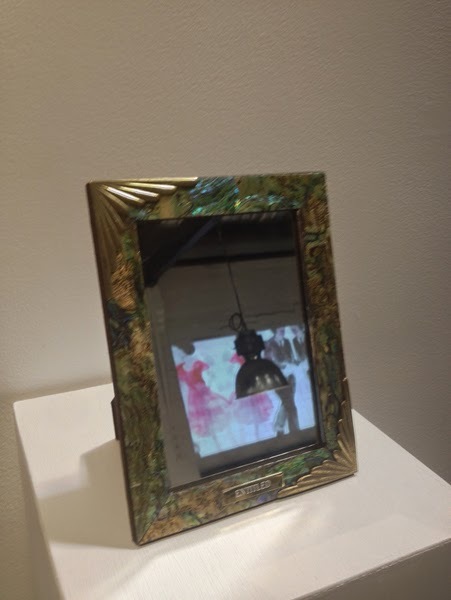 Some works in the final iteration had a marked temporality appropriate to the progressive nature of the exhibition as the relentless cycling and changing of works and artists over the weeks had created something like an ecosystem within the enclosed hothouse of the project space. An online dictionary states helpfully that like spatial position, temporality is an intrinsic property of the object[i]. 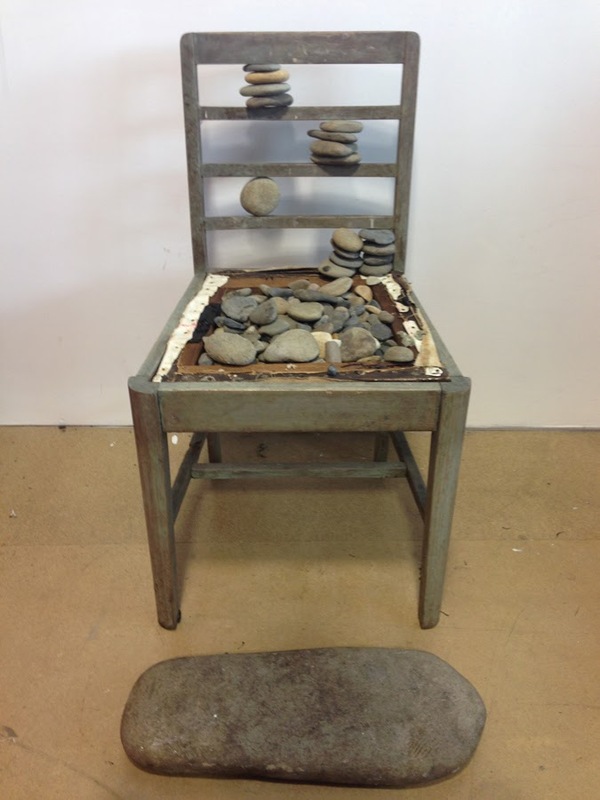 The idea that time is as intrinsic a quality as space for occupation by FERAL art objects is interesting to consider. Time is an active element addressed in many of the works, and it is also experienced in the organic serial evolution of the show from week to week. Each week, not just the artists but an audience of viewers returns to the space, armed with memory and knowledge, to view that which has replaced that which has gone before. Time, and the action of time as human hair growth had revealed itself as an integral part of Veronica Habib’s work I Love What You Have Done With Your Hair between weeks 3 and 4. Thickening patches of hair on female underwear suspended at eye level suggested a body that had matured over time, gaining in confidence and assertiveness. The cruel machinations of time were also evident in the aging of Dominic Byrnes’ work, Trigger Warning. This work had altered dramatically between shows. Last week it was quietly unobtrusive, an inane white canister silently issuing pepper spray from its unobtrusive corner site in intermittent blasts of quiet aggression. As penance, this week its evidently unsafe actions had been encased in a plastic box which over time had become aged and scarred by the ejaculatory miasma, evidence of which had pooled within it, dripped down the wall and collected beneath in nasty brown stains. In looking across these works we see time as a factor interacting with and upon the works in natural processes (hair growth) as well as unnatural processes (toxic waste containment), providing a commentary engaged with contemporary life, and more particularly, questioning our desire for a state of fragranced hairlessness. However, where the passing of time has the effect of inducing a familiarity with objects, a curious anthropomorphic response results. 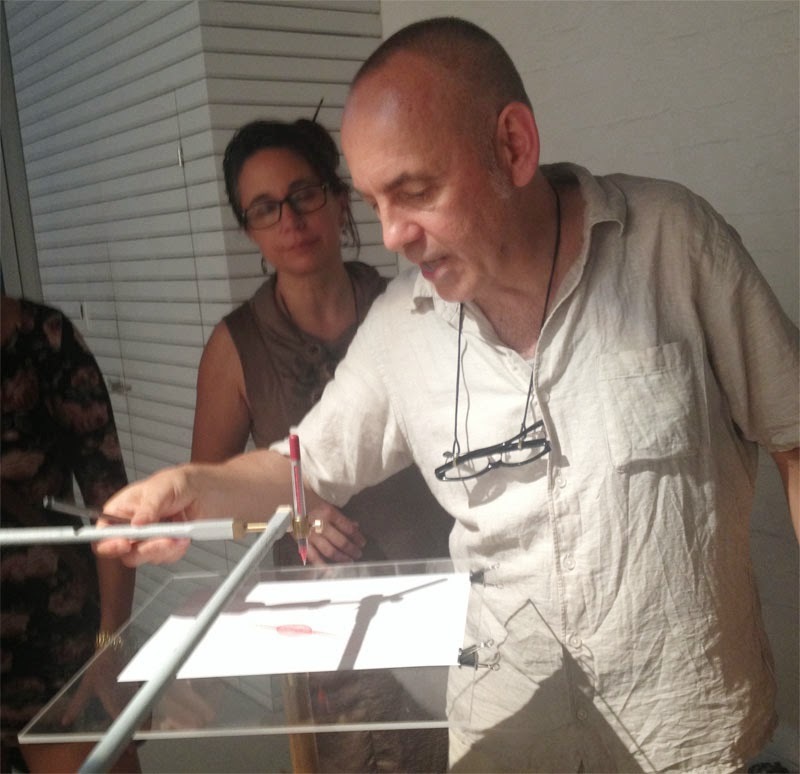 Viewers of Jeff Wood’s work Painting Machine exclaim over the mechanised toothbrushes once they start their stuttering painting action, and Jeff himself paternalistically ushers them gently back on to the painting surface when they vibrate askance on to the gallery floor. 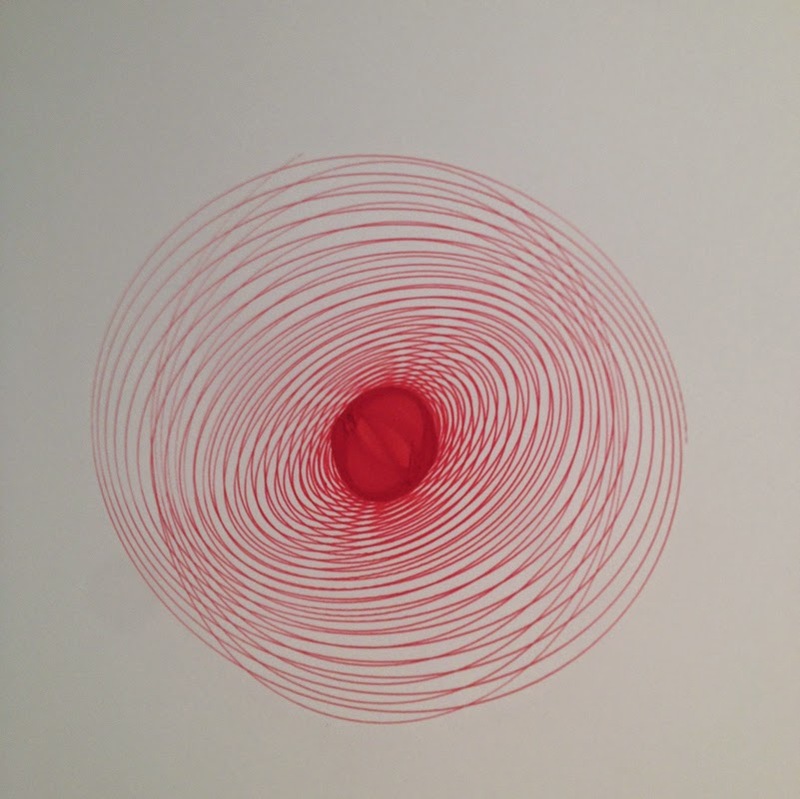 21.10.2014 is a work about temporality on several levels: there is a performative aspect of the work unfolding in the present time, yet it is also the date on which a drawing was made and a death of a public figure occurred. Time is integral to the discipline of process by which the work was made. The text itself evokes collective social memory of a particular time in our history. 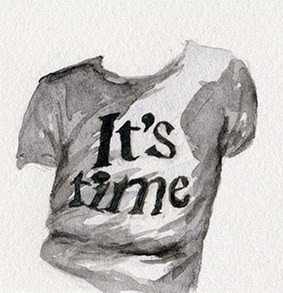 Throughout the space on opening night, various people wore t-shirts depicting t-shirts declaring It’s time. 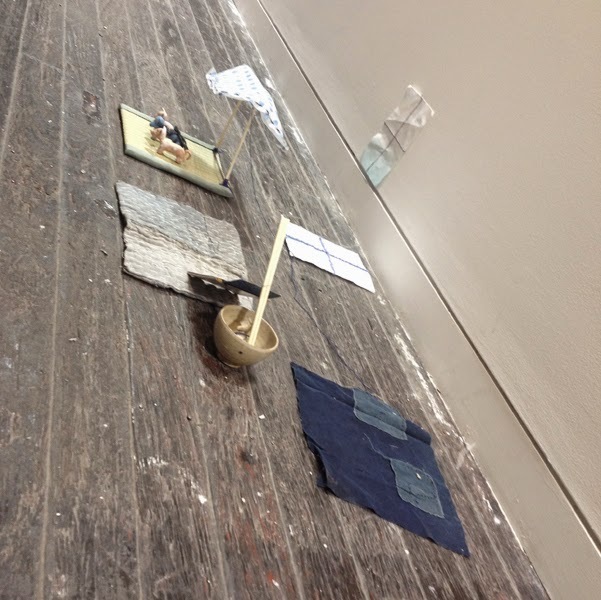 This work is part of a time-based project by Maryanne Coutts[ii]. Throughout 2014 Maryanne made a daily watercolour work depicting only the clothes of a person appearing in a news report published that day. The t-shirt depicted carries the words of Gough Whitlam’s campaign slogan and the date marks the day of his death last year. 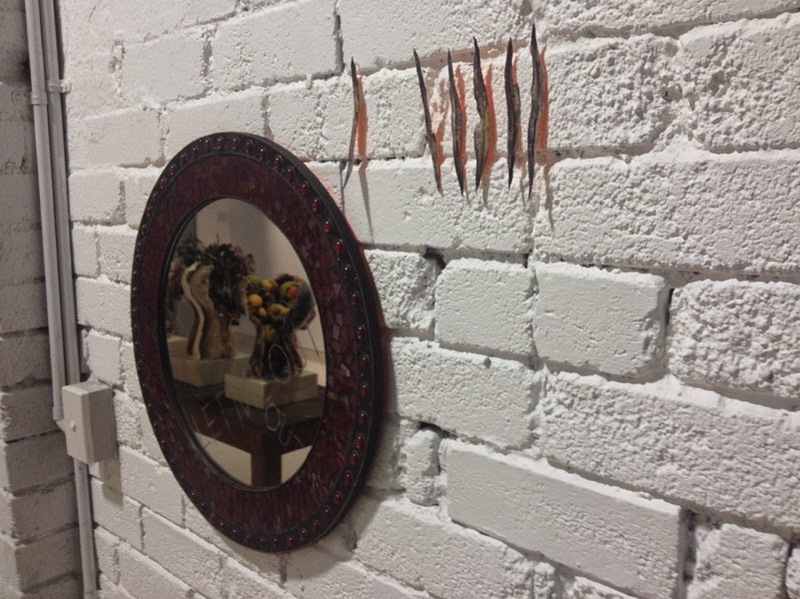 Memory and time, both personal and the ecological is evoked by Louise Morgan’s work Senescence. Louise is an artist concerned to draw attention to biodiversity loss and mass extinction as a contemporary dilemma. [iii]The title is a reference to the biological process of cellular aging and the work depicts an array of painted paper objects pinned to the wall in a poignant, saturated colour evocation of Louise’s childhood memories of the leaf litter of a forest floor. These fragile paper objects remind us of the immensity of evolutionary time. 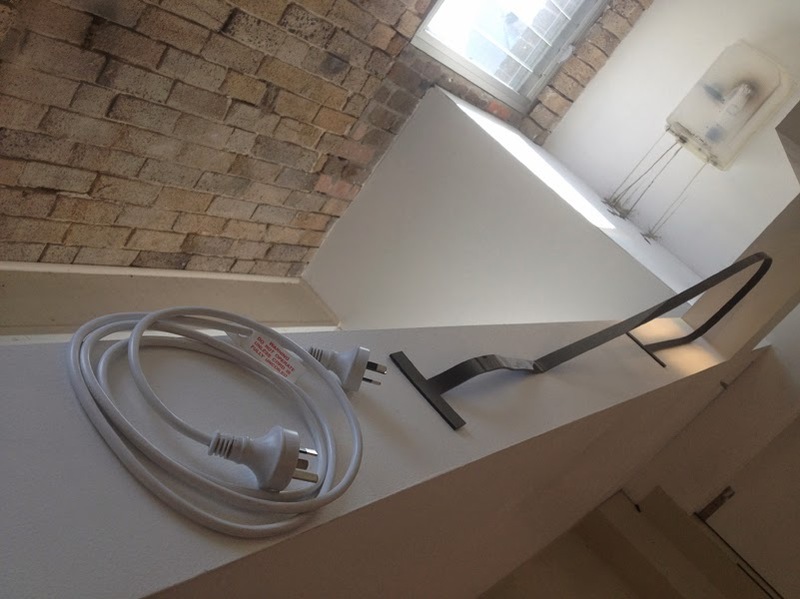 Time is frequently described visually as a linear tracing of chronological action, and in FERAL 5 a number of installation works take the line into the project space. 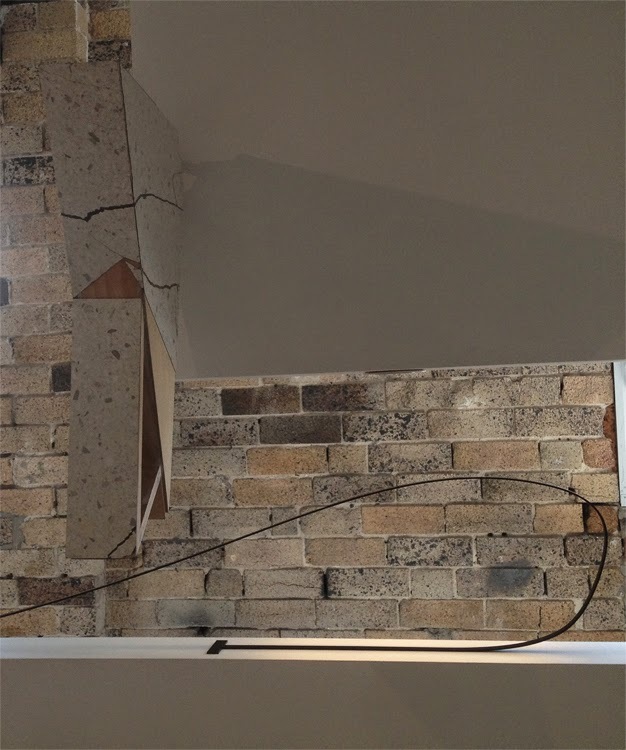 Remaining in the show from Feral 4 Sarah Fitzgerald’s Arch launches from the wall and into the space gracefully, its apparent motion arrested by a house brick. 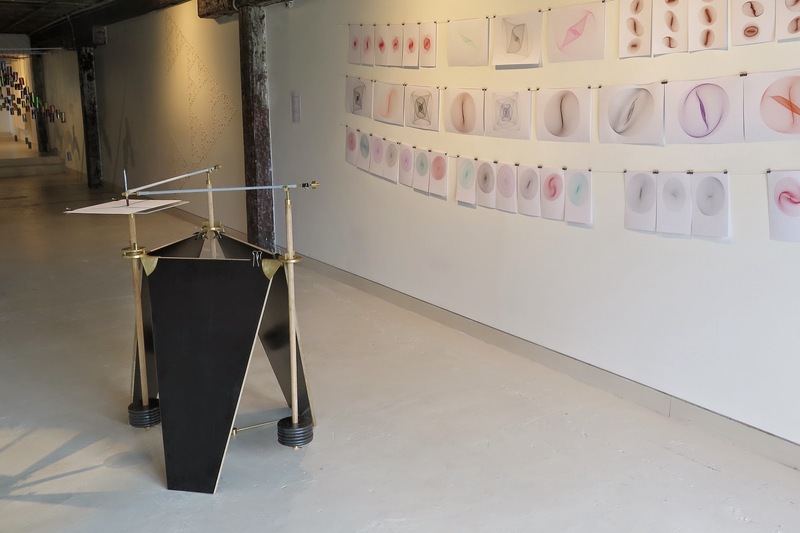 Fiona Kemp’s work Tumble Turn references the black lines marking swimming pools, which measure one’s progress up and down the lanes and continuing the analogy of time as motion in the form of the curving on-itself tumble turn. 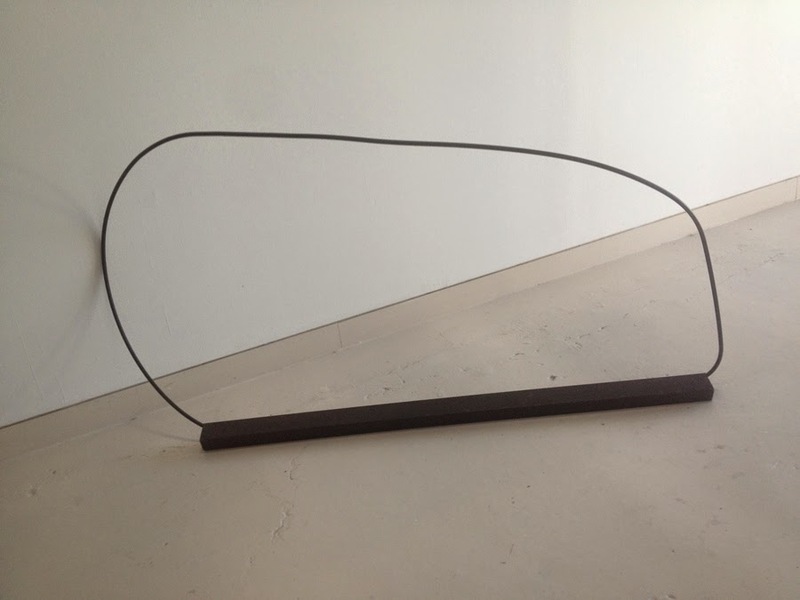 If time is represented by the linear form of Alexandra Sideris’ twisted and teased mild steel sculptures, it is not the as expected measurable stop-start linear progression but a unified loop, of bent circularity returning on itself. 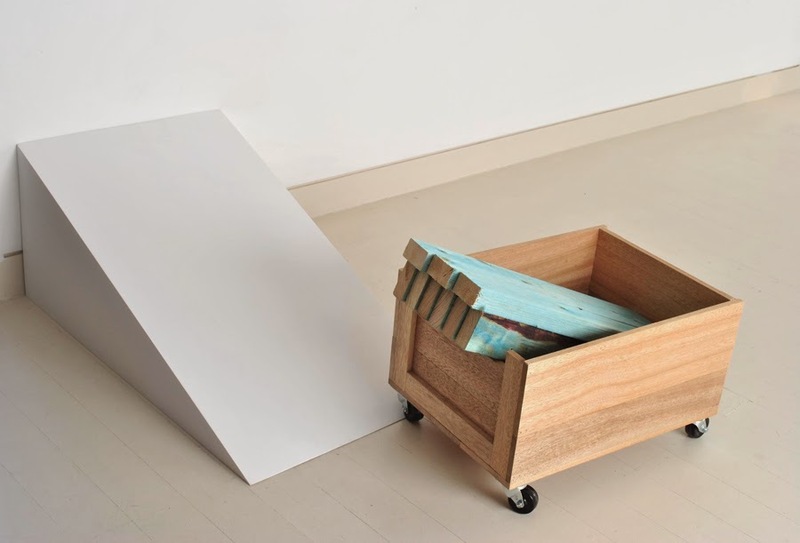 Joe Wilson’s work Painting in transit is a timber installation in which a wheeled crate of treated timber is poised in an ambiguous state of stillness, counterpoised against a ramp, appearing to have just stopped moving. The pause and solemnity of the frozen moment of transit, of some unknown journey towards, or from, painting is a provisional, between-time concept. The gravity of paused time is enhanced by the meticulous craftsmanship of its construction. 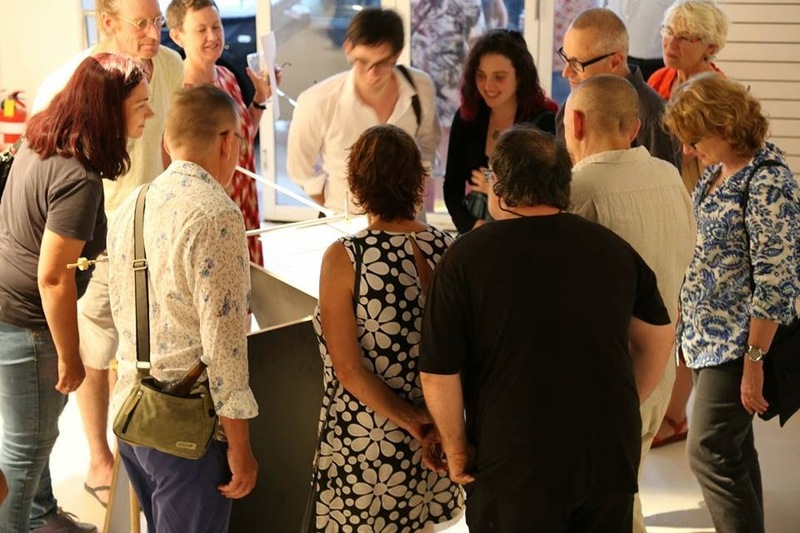 An engagement with the temporal as well as the spatial possibilities of making, performing and presenting works has meant that much of the FERAL Exhibition has challenged the static gallery model for the display rather than interaction with artworks. At the same time, the curatorial model of communal studio has enabled an engagement between artists, viewers and the time in which we live. 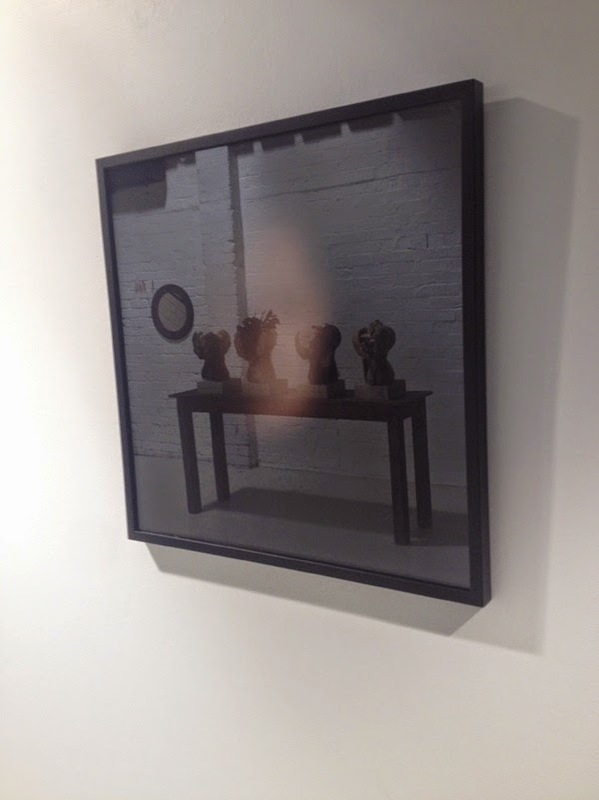 Images by Articulate Project Space and Lisa Sharp. FERAL 5 artists include Lisa Andrew, Dominic Byrne, Maryanne Coutts, Richard Dunn, Sarah Fitzgerald, Juliet Fowler Smith, Jane Gavan, Pollyxenia Joannou, Fiona Kemp, Delilah Lysses-sApo, Kate Mackay, Diane McCarthy, Alycia Moffat, Louise Morgan, James Needham Walker, Melissa Jane Palmer, Elizabeth Rankin, Kathryn Ryan, Alexandra Sideris, Phaptawan Suwannakudt, Yoshi Takahashi, Vicky Versa, Joe Wilson and Jeff Wood. FERAL 5 is the final FERAL iteration that, over 5 weeks will have shown works by over 60 artists including Tania Alexander, Lisa Andrew, Michelle Beevors, Linden Braye, Bianca Burns, Dominic Byrne, Sue Callanan, Andrew Christie, Liz Coats, Tim Corne, Maryanne Coutts, Kathy Devine, Richard Dunn, Nicole Ellis, Marta Ferracin, Sarah Fitzgerald, Aude Fondard, Juliet Fowler Smith, Jane Gavan, Veronica Habib, Barbara Halnan, Pollyxenia Joannou, Fiona Kemp, Blaide Lallemand, Martin Langthorne, Delilah Lysses-sApo, Kate Mackay, Joanne Makas, Rachel McCallum, Diane McCarthy, Alycia Moffat, Louise Morgan, Christine Myerscough, James Needham Walker, Melissa Jane Palmer, Kimberley Peel, Renay Pepita, Anya Pesce, Katya Petetskaya, Alicia Poppett, Jannah Quill, Elizabeth Rankin, Ambrose Reisch, Margaret Roberts, Alan Rose, Kathryn Ryan, Kate Scott, Alexandra Sideris, Helen L Sturgess, Helen M Sturgess, Phaptawan Suwannakudt, Yoshi Takahashi, Elena Tory-Henderson, Judith Torzillo, Vicky Versa, Allen Alain Viguier, Joe Wilson, Jeff Wood, Emma Wise and India Zegan. The FERAL program is designed for many artists to work and show together, and to see their work change through the changing context of other artworks. 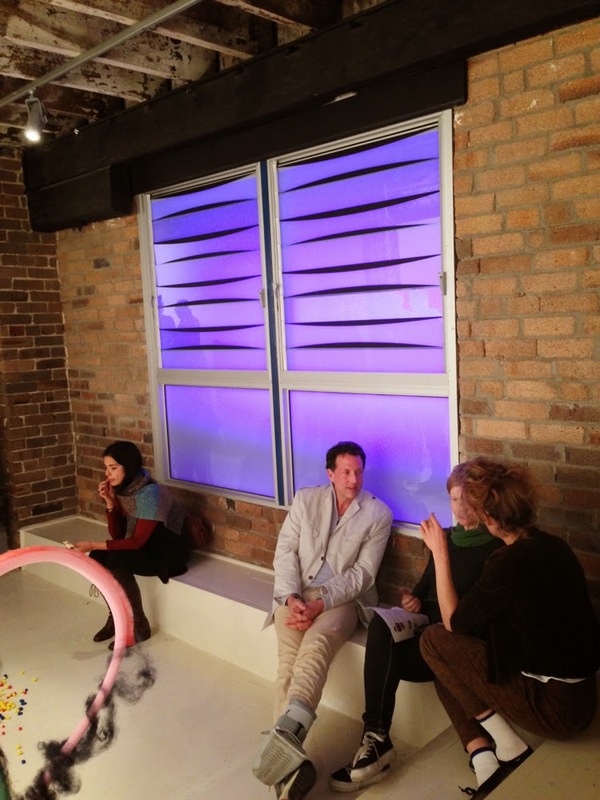 During most of FERAL's six weeks the project space was like a communal studio. If only we could keep it going for a whole year. of the clothes of one person who was in a news story of the day. that Gough Whitlam died, will be worn by people during FERAL. They will be available for sale: $40 white, $50 black. 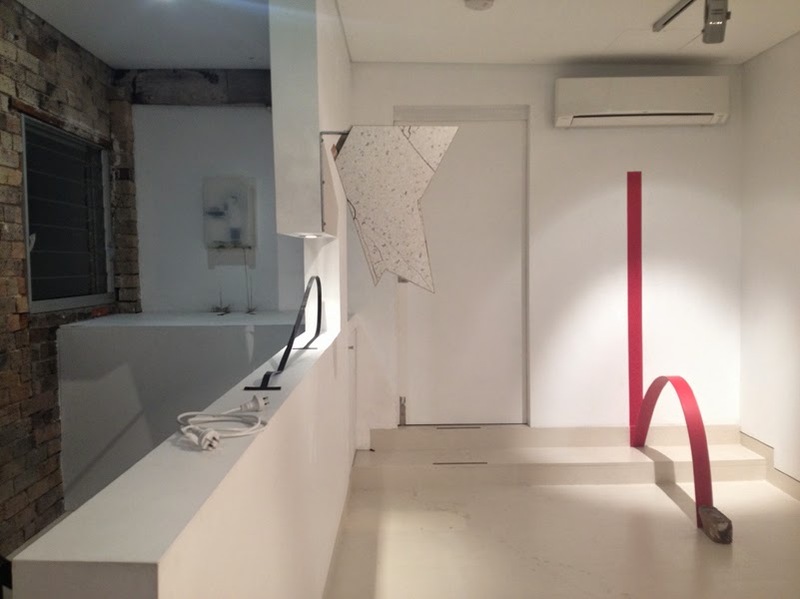 The FERAL project’s ethos has been likened to a communal studio and its relentless progress as a series of overlapping, altered and interactive spatial occupations of the communal studio and project space was certainly evident at the opening of Feral 4 last Friday night. [i] There was a distinct performative aspect, as a number of artists (and one particular work) acted within and upon the confined space, performing in close proximity to each other and to viewers. Apart from the vitality that these performances brought to the experience, an unexpected aspect of returning to a progressive exhibition such as this one was the experience as the returning viewer. The return to last week’s show as it transitioned into this week’s show is activated by the familiar and the unknown. As a returning viewer you are able to interact activated not only through memory and a certain nostalgia, but also with curiosity and this awareness mediates your perception of the show. You have arrived with baggage. 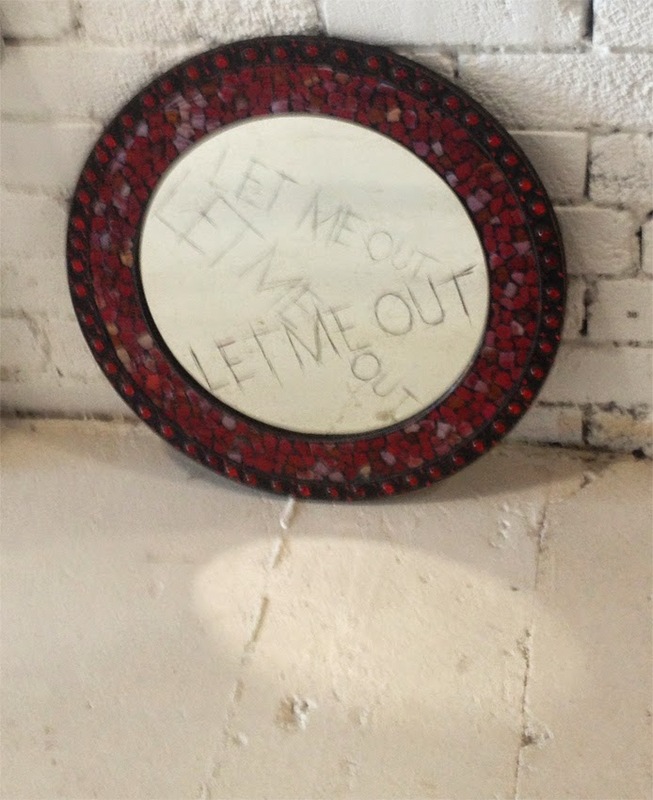 Some works linger as relics and mementoes of FERAL 3 and consolidate the notion of transgressive domesticity that characterised the earlier FERAL. 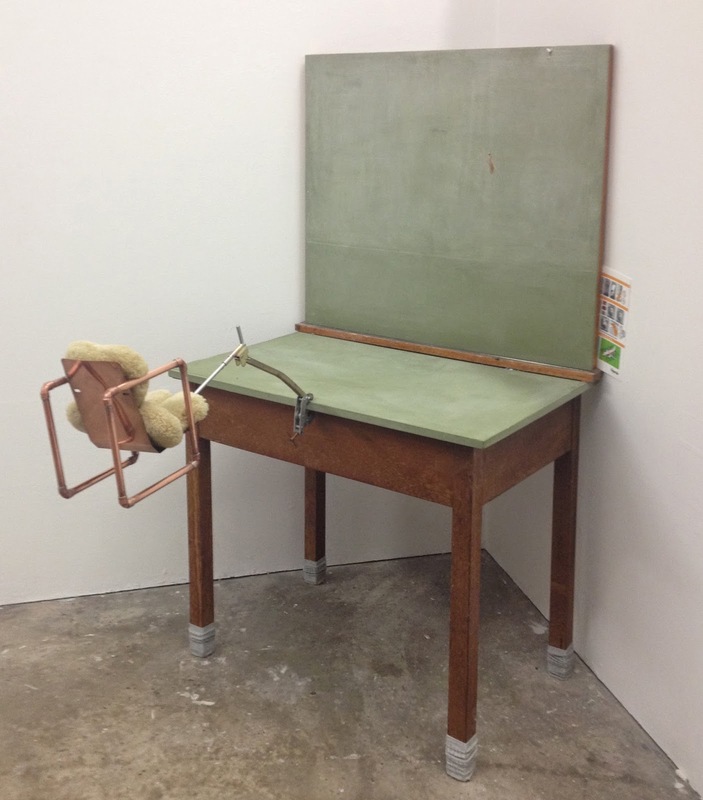 Other works have been removed, their sites replaced by new works that may or may not be haunted by what has gone before, depending on the baggage of the viewer. 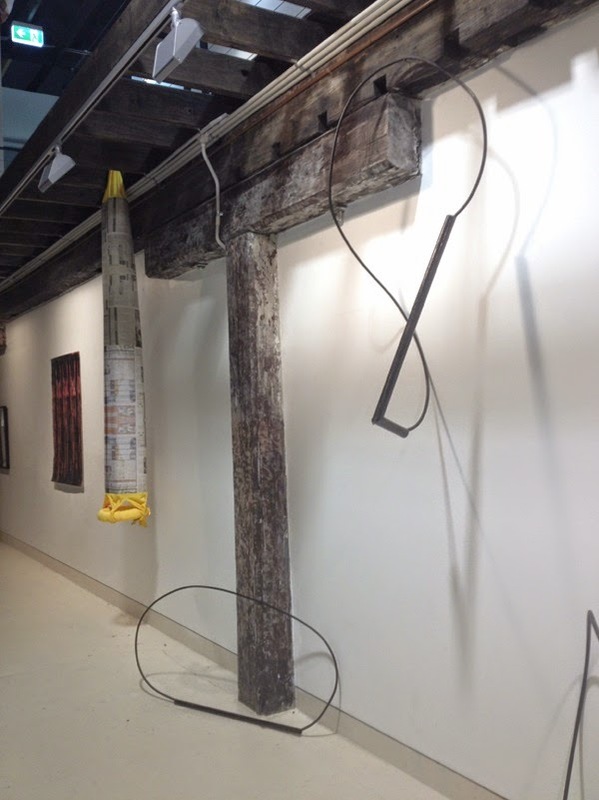 As with any group show, sometimes the proximity between the works allows other dialogues to emerge, expected or not. 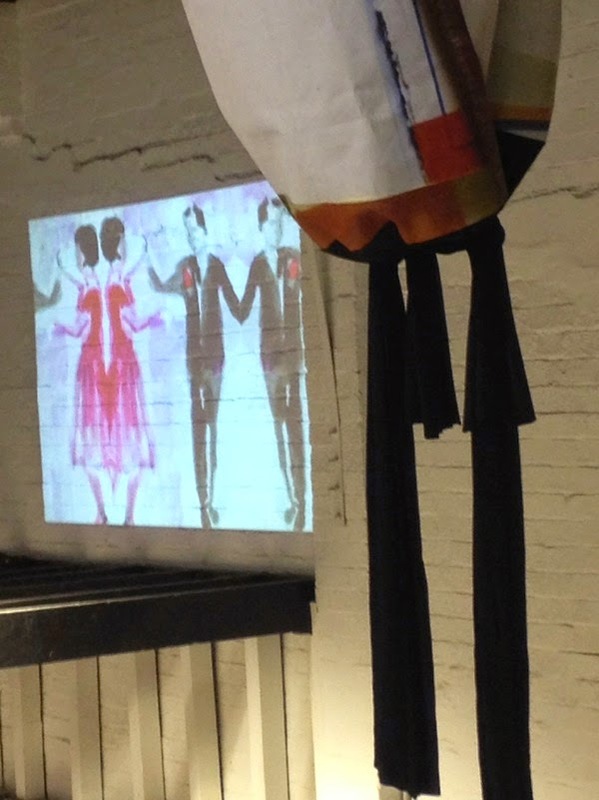 Entering within the narrow rectangular space of Articulate Project Space, one is confronted once again with the now familiar forms of Veronica Habib’s suspended underwear work. As promised, the hair is even thicker and curlier than before, assuming a defiant territorial occupation of each little patch of lingerie, and therefore of its section of the show. It is as if the work has matured and staked its own little land claim over the past week. A little beyond, writhing slowly on the floor is the shiny green ducting recognisable as of Sue Callanan’s In the space of a breath, perhaps a little more battered. Her neighbours this week are not static however as there is a cluster of performance activity centred on this part of the ground floor as incoming artists move in on the space. 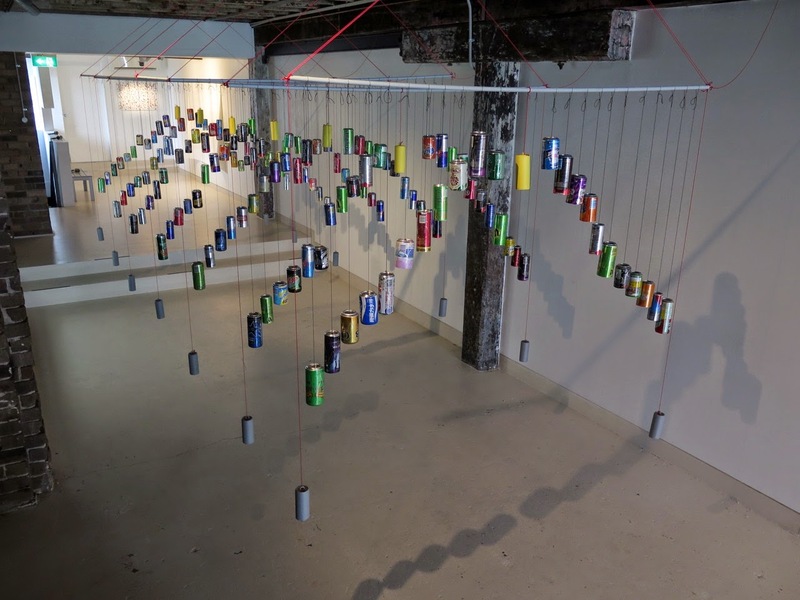 Also under the staircase, Jeff Wood tinkers and adjusts his work Painting Machine, an assemblage of found objects, including skateboard parts and a bicycle wheel as ode to Duchamp. These are all coaxed into function and pressed into service as surrogate-artist objects, mechanically creating works of paint on canvas. 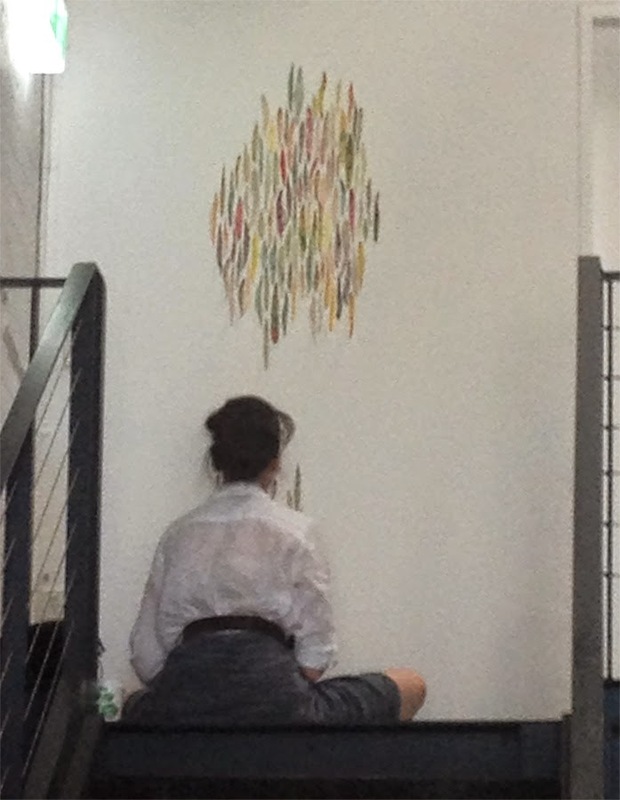 Against the wall near Jeff, Melissa Maree quietly and methodically sorts and sticks brown lionoleum cut-outs onto the floor and wall, based on “basic forms of artworks, objects and feelings” she has encountered during FERAL. [ii] At some point, Aude Fondard’s performance work, Dolly’s mad enters the fray as a self possessed young woman lies down in the possession of / possessed by a plastic bride doll. All this activity occurs in a close and narrow space, around and between groups of spectators. 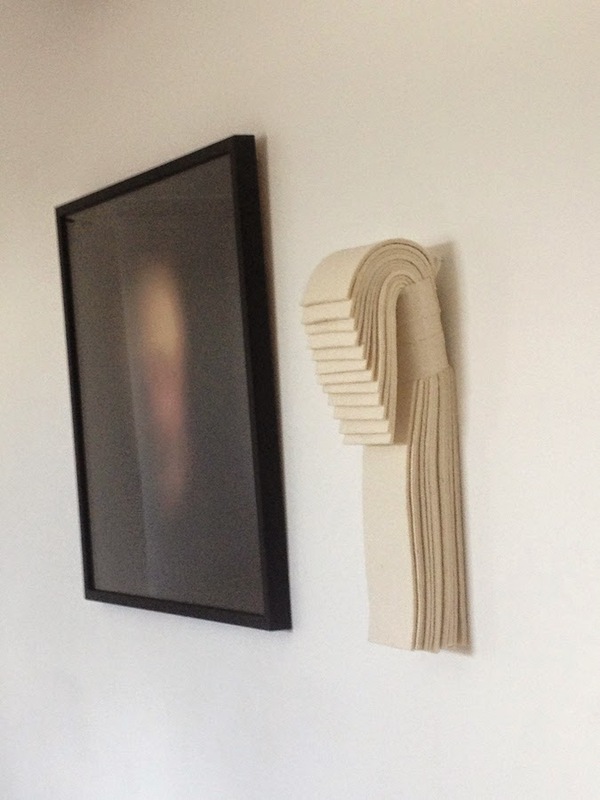 Possibly a poster piece this week for the curatorial concept of feral / fair isle as transgressive / domesticated is Kate Mackay’s soft edged and hand crafted piece of geometric abstraction. Crochet Cubes is a three-dimensional work and it hangs across the space, forming a room divider or screen. In contrast to the usually cool delineations of gridded colour associated with geometric abstraction in which gesture is minimised however, every stitch references the gesture of making, and yarn edges and changes protrude unevenly, clearly delineating the crafting process. The work’s cubed seriality is appropriately within sight of Richard Dunn’s series of small, perfectly square paintings, in which precise bands of precisely mixed colour are placed, hard edged yet emergent in subtle relief against other bands. A part of the material dialogue between Richard and Kate’s proximate works is surely colour as pigment as against colour as dyed yarn. Upstairs, Yoshi Takahashi’s installation of timber cubes presents another variant of geometric abstraction as units of colour are placed in gridded symmetry in a meticulous visual analysis of colour as part of a larger whole, creating a field-like effect. 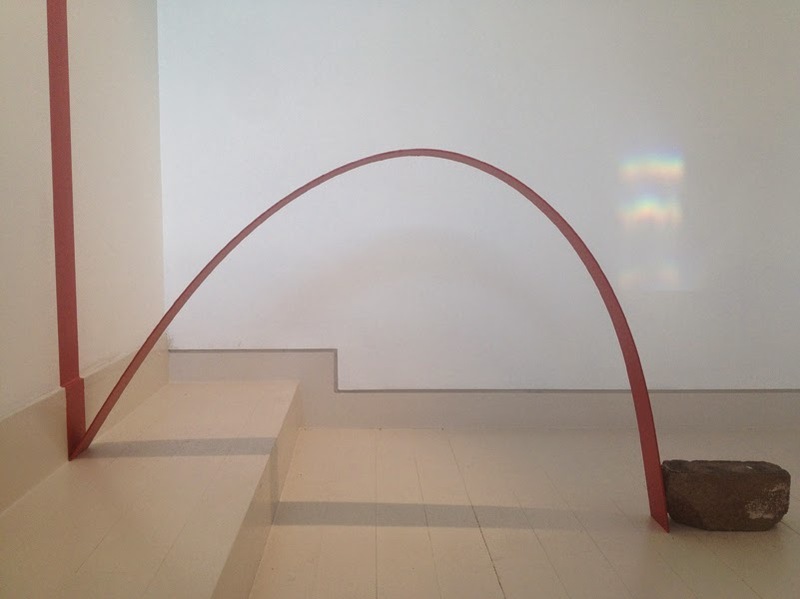 Appearing as a motion stopped by a brick, Sarah Fitzgerald’s sculptural piece Arch curves gracefully away from the back wall of the space’s ground floor, providing a contrast, as Sarah describes, with “the post and beam structure of the gallery space”. 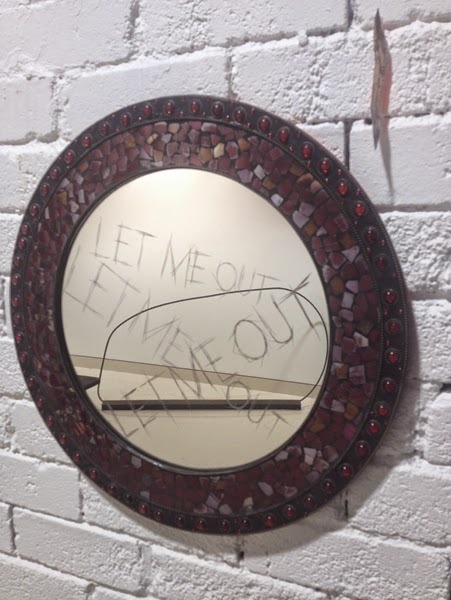 [iii] Continuing this mode of invasive interactions into the gallery space, but taking it to invasion is Dominic Byrne’s aggressive little work, Trigger Warning 2015. Perched in apparent domestic serenity on the far back wall this air dispenser squirts pepper spray into the room once every 15 minutes, in an eye-watering, sneeze-inducing inversion of the domestic room fragrance product. 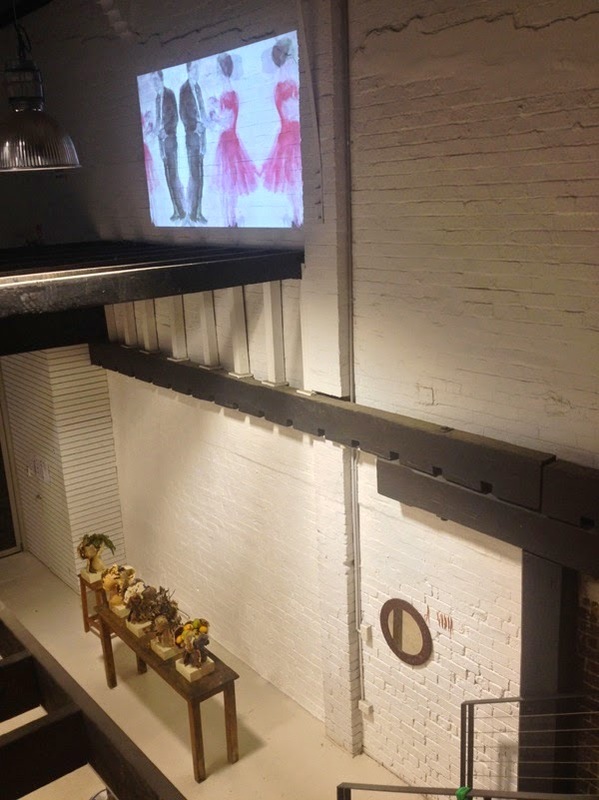 A synchronous melding of works from FERAL 3 and 4 occurs upstairs, where the upper portion of Helen L Sturgess’ work, consisting of bunched pale pink tulle on exposed rafters is adjacent to a softly flickering watercolour animation of couples dancing, their bodies compressed within the space of the projected band across the uneven white brickwork: Thin Ice by Elizabeth Rankin. 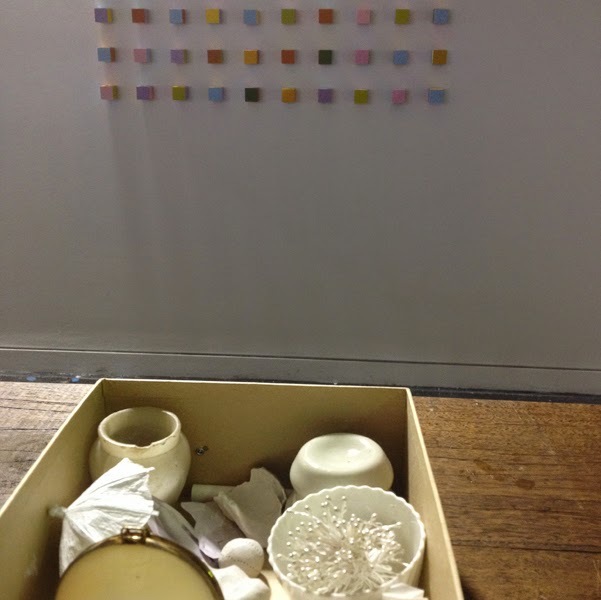 This narrative of containment is continued with Kathryn Ryan’s boxes, arrayed in a museological display of small and delicate items that appear to have been collected from the site. Particularly poignant and tenderly observed is the box of “small white spaces” visible below. 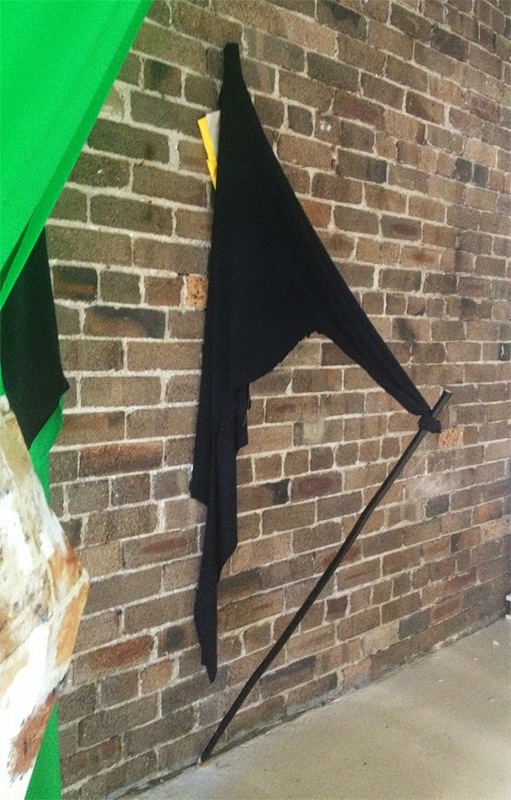 The final iteration of this 6-week long communal project, FERAL 5 opens on Friday 6 February 2015. Some visitors will then have 5 pieces of baggage to carry around with them.